The only way to ensure safer childbirth for women across the globe is to increase access to information and medical care. All women deserve the assurance of having adequately trained midwives to support them during labour, surgeons to perform life-saving procedures and repair any damage, and information to keep themselves and their children healthy. Our aim is to make issues such as fistula a thing of the past. But how do you do this in placed that have little or no medical infrastructure or trained staff? With the generous support of our donors, we at Maternity Africa help place experienced obstetrician and midwife teams in areas that currently do not have obstetric care. As well as offering skilled birth attendants, our dedicated volunteers help train local health professionals and support the building of much needed infrastructure. The story of Maternity Africa began in two Ethiopian towns, Mota and Debre Tabor, which together make up a population of about 2 million. While residents did have access to government hospitals with the necessary equipment to perform emergency obstetric interventions, they lacked adequately trained staff to carry them out. 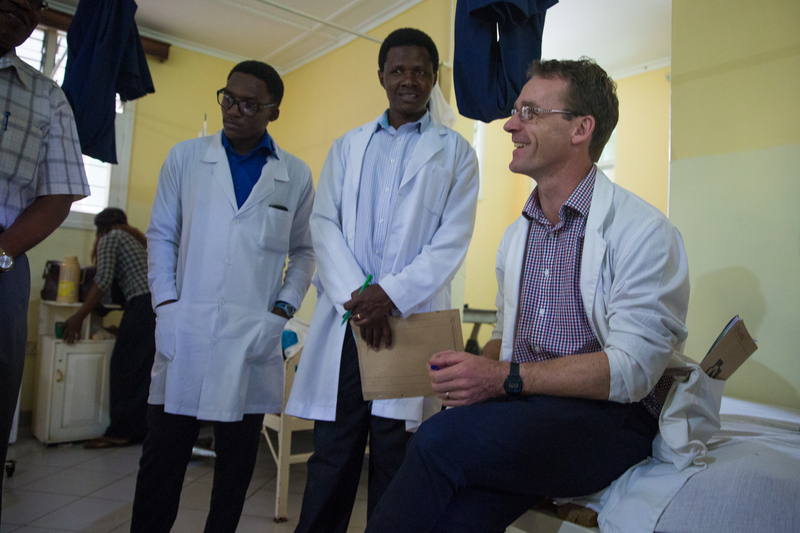 By placing our volunteer medical professionals in outlying health centres, we were able to offer safe maternity services and training for local health workers, midwives and doctors. Three years on and the statistics speak for themselves – a 90% drop in maternal death and 95% fewer incidences of fistula. The success of this model also shows in the fact that these improvements have been maintained, despite Maternity Africa moving out of the hospitals, which are now entirely run by local staff. While we still play an advisory role in the management of key government health centres, local capacity building has reduced the need for external help and promises a sustainable solution for hundreds of thousands of women in these areas. In another area of Ethiopia we have been busy setting up a whole new obstetric service network in partnership with an existing Non-Governmental Organisation, the Afar Pastoral Development Association. This desert region is home to a nomadic people, which have historically had no access to any family planning or maternity health care services. The network consists of 750 trained and equipped birth attendants, who visit the villages and can refer pregnant women to safe waiting areas when they are nearing delivery. These safe zones are in direct radio contact with a small maternity hospital, who can send an ambulance to retrieve women experiencing difficulties during labour. The aim is to ensure that no woman in the catchment area should be more than two hours from emergency medical help. It has been estimated that to reduce the number of African women dying unnecessarily in childbirth, or developing fistula, around 2,000 such networks need to be established, that’s one for every 500,000 people. In Barhirdar, the regional capital for some 20 million people in central north Ethiopia, a similar project is taking place which aims to increase local capacity to deal with high numbers of women giving birth every day.The town serves as the direct point of referral for medical care to around 7 million residents, but has only a single obstetric service with just 30 beds. Maternity Africa is currently working to build a new maternity hospital, which could double the capacity to provide much needed maternity care in this area. In the meantime, a temporary structure has been established that provides emergency obstetric care to over 2,000 women per year. Maternity Africa has also partnered with the Selian Lutheran Mission Hospital in Arusha, Tanzania. 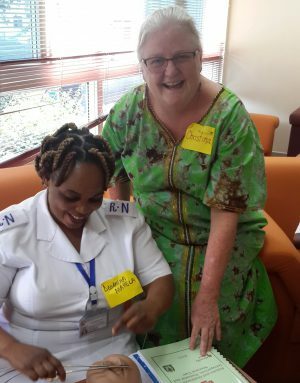 Since 2011, we have been increasing the level of fistula services available in Selian’s 16-bed gynaecology ward; and in 2013, instated a volunteer midwifery tutor to help upskill local health professionals, supporting them to conduct safer deliveries for Tanzanian women. 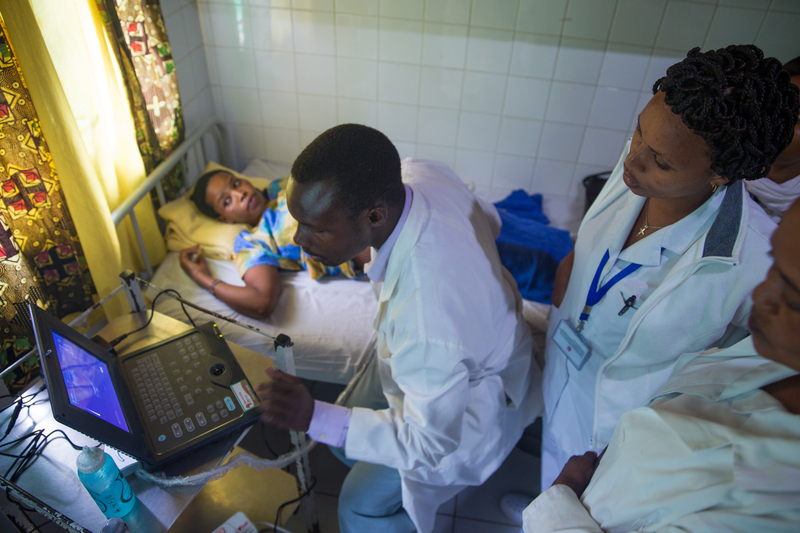 Training is also being offered to midwives and doctors in other hospitals across Tanzania. These changes have helped to encourage women to give birth in hospital and to seek medical care, which in some cases has transformed their lives. Now we are embarking on a major project to build the dedicated Kivulini Maternity Centre in northern Tanzania, where we will demonstrate best practice in maternity care, immediately adding to the health care capacity of the region – contributing to the regional goals of increasing: the proportion of health facility deliveries, the level of access to family planning and ante-natal services and the overall reduction of maternal and new born deaths – but also providing training to midwives to build additional capacity for high quality services throughout Tanzania.